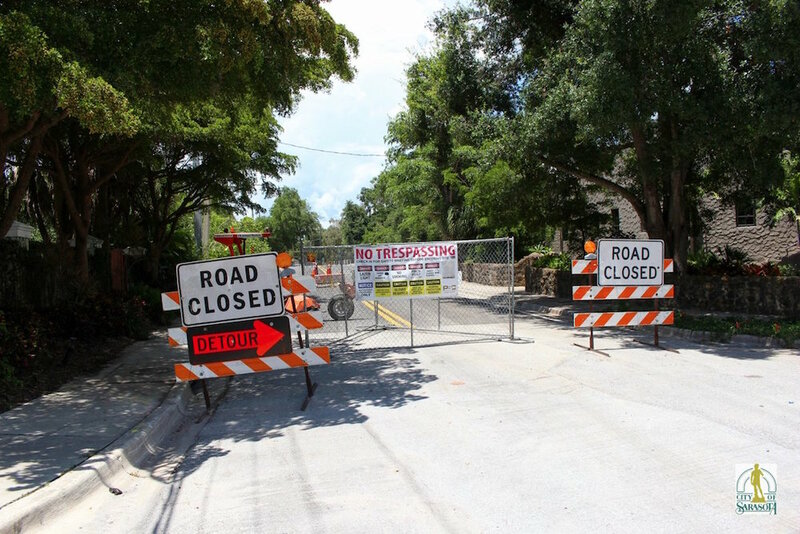 The Osprey Avenue Bridge will reopen to vehicular traffic on Friday, July 14, by 4 p.m., the City of Sarasota announced this week. The bridge has been closed since August 2016 to allow work crews to install two microtunnel segments, “which are critical to the success of the Lift Station 87 project,” a news release points out. During the first phase of the Lift Station 87 work, the contractor successfully microtunneled under Hudson Bayou and Luke Wood Park. Work is underway to install 36-inch-diameter sewer mains inside the 60-inch steel casings, the release notes. “The first phase of the project is nearly complete, with minor work remaining,” the release adds. On July 10, the city received bids for the second phase of work, building the lift station itself, the release continues. After a contractor has been selected and authorized to proceed, the construction period is expected to be 920 calendar days, the release points out. The final phase of work — installing the gravity sewer mains — is scheduled to take place in 2019. After the entire project is complete, wastewater flow will be redirected from Lift Station 7 to Lift Station 87. For more information about the Lift Station 87 project, visit http://www.LiftStation87.com or call the project information line at 356-8071. Interested parties can also subscribe to email updates at www.egovlink.com/sarasota/subscriptions/subscribe.asp.